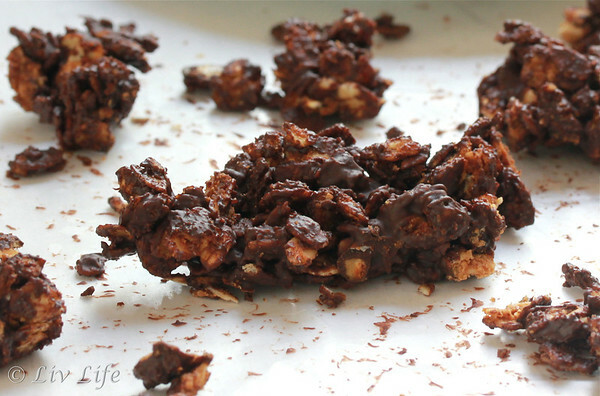 Crunchy, peanut buttery and chocolaty... and oh so addicting. I justified eating them with their nutritional ingredients, however the chocolate and sugar contents just might put them into the dessert category. Place prepared and cooled granola into a large bowl. Melt the chocolate in a double boiler over low heat on the stove (or alternatively use the microwave if that is your preference). Pour the melted chocolate over the granola and stir to coat. Perfect timing Kim. I was just about to look for something like this. My youngest daughter starting paddling and she needs a little something after school to give her the energy to get through her workouts. I am sure she will love it. 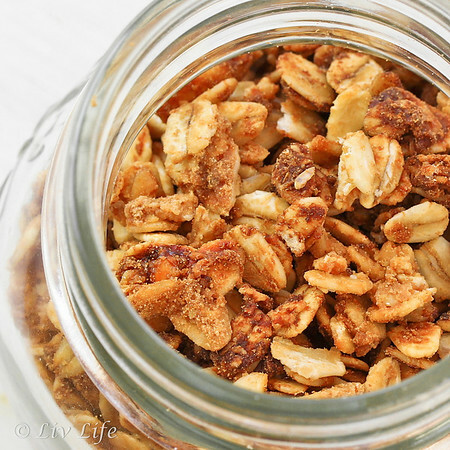 My hubby wants me to make some granola for him to put on his yogurt. I think that I found the perfect recipe! This looks so tasty! I love granola, but don't eat a lot of it because the store bought stuff is filled with all sorts of things I don't like. This looks great! 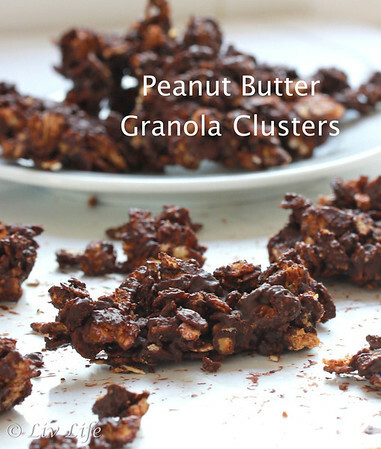 Peanut butter granola is my favorite! Love that you turned it into a snack. My lips are sealed, lol. I might have to keep that stuff away from myself too. I want to make my own granola to keep on had, but I just can't stop myself either. Maybe we need to keep it in a locked container? I can't believe how talented Liv is with her dance, tell her to keep up the good work. I would have eaten all of these too. In a heartbeat! Hilarious Kim - I can see how you could eat this all by yourself! Kim, you are so funny, I thought I was the only one who did stuff like this. I can totally understand why you ate it all up, it looks and sound fabulous, and addictive!